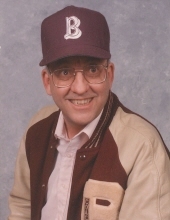 Coach Brenner went to meet his family in Heaven late Tuesday, September 18, 2018 at Hillcrest Manor in Blackwell, OK. A graveside ceremony will be held at 11:00 am on Tuesday, September 25, 2018 at the Blackwell Cemetery. Those wishing to offer condolences may come by Trout Funeral Home of Blackwell on Sunday, September 23, 2018 from 1:00 pm - 8:00 pm and Monday, September 24, 2018 from 9:00 am to 8:00 pm. Honorary casket bearers will be former BHS Wrestlers. John Wallace Brenner was born August 13, 1942 in Blackwell, OK to Thelma Grace (Clampitt) Brenner and Dale A. Brenner. He was a preemie weighing in at 2 lbs. 14 oz. John had Cerebral Palsy but never let that define him. He attended Blackwell Schools graduating from BHS in 1960. While he was in school, he attended Boys State, and was President of his Senior Class. He was the manager for the wrestling, football, and baseball teams from 1954-1960. After graduation he attended NOC and then went onto Central State College in Edmond earning a BA in Education in 1965 and a Masters of Teaching in Guidance in 1968. His first teaching and wrestling coach job was in Canyon City, CO building a winning record of 28-2. He taught and coached in Blackwell from 1970-1973 with a record of 29-1. John also had an undefeated Cushing, OK team in 1978-79 of 10-0. John was honored to speak at the Homecoming Assembly in 2003. He was inducted into the OK National Wrestling Hall of Fame in December of 2003 and December 14, 2003 was declared “John Brenner Day” by the Blackwell City Commission. He was greatly influenced by coaches, Thurman Garrett, Tom Chesbro, Dan Bringham, Charles Hetrick, and Bob Lyons throughout his coaching years. John has belonged to the Blackwell Wrestling Club, CSU Alumni Association, Lion’s Club, and was a lifetime member of the BPO Elks and Odd Fellows. He was a member of the First Presbyterian Church. He was an avid sports fan especially of BHS, OSU, and the Thunder. Even though the past few years he couldn’t see or hear well, he had headphones hooked up to his TV which sat right beside him so he could somewhat keep up with all of the games. He is preceded in death by his grandparents, parents, brother, Clark, and a niece, Carla Busse. John is survived by a cousin, Billie DeBoard, a niece, Valerie Brenner Alvarez, and a nephew, Kevin Brenner. Memorial donations may be made to the Blackwell Wrestling Club. To send flowers or a remembrance gift to the family of John Wallace Brenner, please visit our Tribute Store. "Email Address" would like to share the life celebration of John Wallace Brenner. Click on the "link" to go to share a favorite memory or leave a condolence message for the family.